I am sure most of you are aware of the plight facing many of our farmers with two thirds of Queensland now drought declared. We drove through many of the places currently experiencing drought on our trip and we thought things were really bad then, that was months ago. 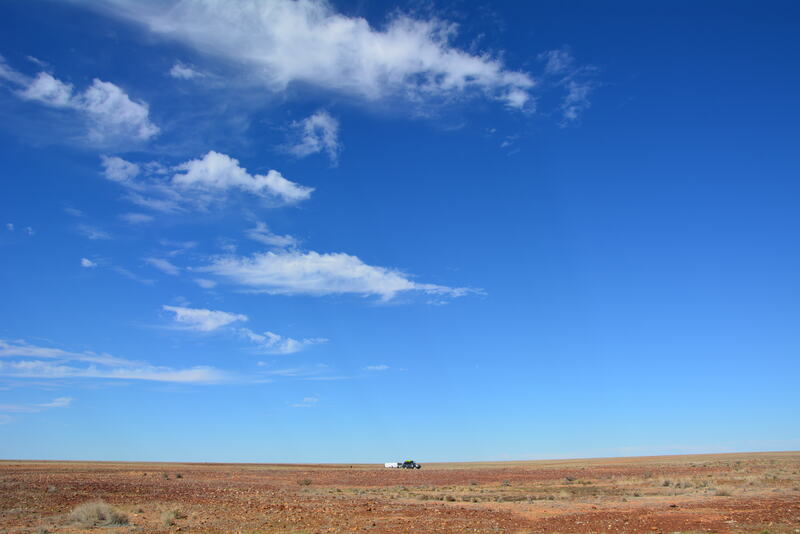 Some of the drought country we saw around WInton, QLD in June. 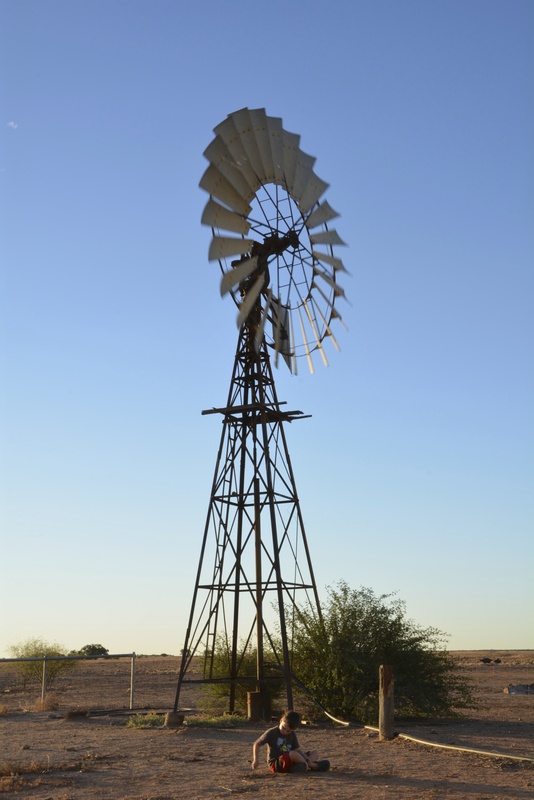 Boulia, Qld – drought affected country we saw on our trip. Those of you who have been following our blog for a while now know that we are passionate about rural Australia and the need to support our Australian Farmers (you can read some of our other posts on this topic here and here). Now that we are part of the farming community ourselves, we understand even better the challenges which are presently facing all Australian Farmers in relation to the profitability and future viability of our agricultural industry. So, today I am sharing a letter ‘from the Bush’ which I think explains really well why this drought is so bad and what is happening in the Australian agricultural arena at present. I know not all of you will read the letter but at least please check out the ‘Buy A Bale’ website or their Facebook Page https://www.facebook.com/BuyaBaleofHay which is doing great things to help drought affected farmers. You can buy a bale of hay for just $20 or donate a small amount to be used towards buying a few litres of diesel, groceries and other necessities for our struggling farmers. Australian Farmers need our support, please spread the word! It’s not different because virtually all of inland Queensland missed the 2013 wet season; that has happened in the past on numerous occasions. In a bad year, conversations tend to drift to other bad years and for the first time ever I have heard 1926 mentioned. Usually a comparison can be drawn with ’82 or ‘69 but this time they are going back 87 years to find a season that makes them feel lucky to be around now. Nevertheless, seasons have been missed before, that is not why this one is different. It’s not different because of other factors such as fire or overstocking that have exacerbated the effects of the drought in some areas. The risks associated with a lack of grass are well understood in the industry because everyone has had to deal with it on some level in the past. Producers who went into this season with no grass were extremely aware of the importance of rain to their immediate prospects and that rain failed to materialise. The suffering, among both people and animals that resulted, does not make this drought different to those of the past. This drought is not different because of the lack of options available to distressed stock. In a widespread drought, grass and water quickly become scarce. Tens of thousands of head of stock needed to be moved onto decent pasture but very little existed and as a result producers were forced to market cattle in preference to letting them die in the paddock. Markets thrive on distress and the cattle market this year has provided the perfect example. Distressed vendors are not unique to this year, however and markets have collapsed in the past. This drought is different but not for any of the reasons above. This drought is different because people don’t see a way back. Droughts come and go and the seasons will come back but even with a succession of good years, people will not recover from the beating that they have taken in the last twelve months. There is no ‘fat’ left in the agricultural system to plan for bad years, nor to recover from them. The process of rebuilding a breeding herd involves retaining heifers for several years and waiting for them to mature. During that time, revenue is severely impacted through reduced sales while costs increase with the growing herd numbers. It will be extremely difficult for producers to invest in rebuilding herd numbers from a low base whilst servicing all of the fixed costs associated with their business. They face very difficult and distorted markets both domestically and internationally and a high cost structure. Profitability was eroded, many years ago and the industry has limped along on the back of cash reserves, cost cutting and equity ever since. That process is very nearly at an end. The capacity to endure further losses does not exist. The profitability crisis in agriculture can be linked to virtually every one of the issues that regional Australia is currently facing from skill shortages, to the malaise of small towns, to the perilous state of agricultural infrastructure and to the fact that these businesses are no longer in a position to properly manage in the natural environment that they are built on. The markets for Australian agricultural product are damaged. Internationally Australian produce competes with protected industries in all of our developed world competitors. They are protected because they are not in a position to compete with the low costs of production in the developing world. Australian businesses are not able to compete either but they are expected to and they have to because the domestic market cannot absorb the entirety of our agricultural product. Domestically, the market is dominated by a limited number of buyers and the resulting lack of competition has transferred wealth from the agricultural community to retailers and consumers. The marketing of agricultural product has not been helped, at least in some industries, by a lack of sophistication among vendors. Prices offered have been accepted without regard to normal business practices. There has been no demand to maintain profit margins. There has been no demand to maintain excess cash flows to fund infrastructure or development. It is difficult to determine the cost of production in agriculture and many vendors have no idea what price they need to achieve to recover their costs. Whatever the reasons for the profitability crisis, it has crippled the industry and robbed the cash reserves required for issues like drought and investment. This drought is different because it isn’t really about the drought. The drought is just one more straw on the back of a very rickety camel.